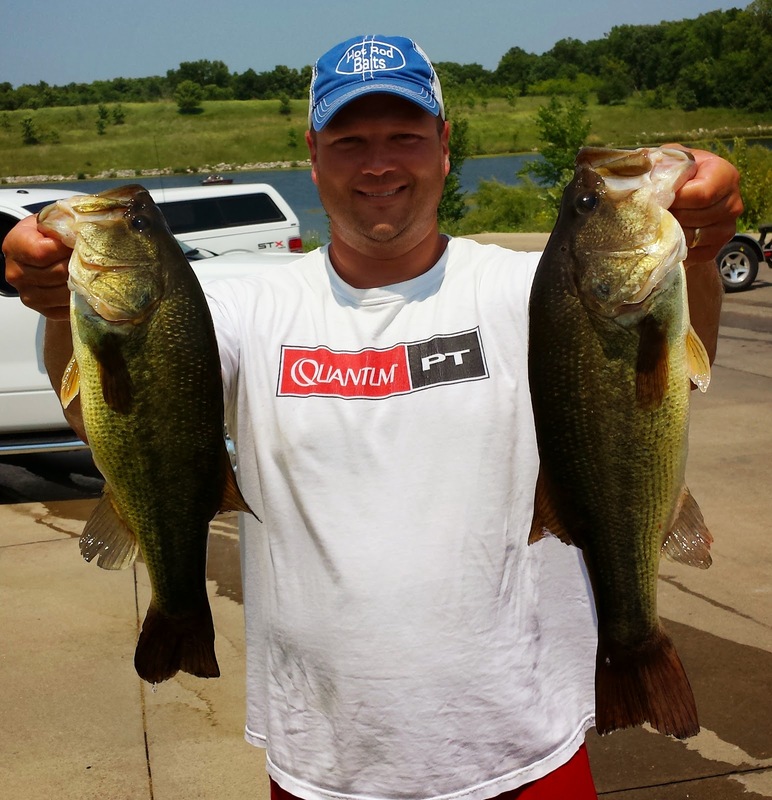 Last Sunday marked the 4th event in the 6 event schedule for the Tri-County Bass Club. I had some trailer issues with tire, so that held me up last week after the river trip, and I think I figured everything out yesterday. Well, this meant that I had only 2 hours to look over Brushy Creek ( I haven't been there all year) before this tournament. I spent most of those 2 hours riding around the lake looking at the water, looking for baitfish and getting an idea for the following day. I did do some fishing, and I focused my efforts on water deeper than 15 feet. I didn't see much on my two hour tour, so I had the game plan to stay shallow during the first few hours of the tournament and see if things were better there. Tournament day came and my first area I wanted to try was open, so I hit it. The 5th or 6th cast I caught a bass on a buzzbait, and it was a good one, over three pounds. From the talk at the campgrounds I figured it wouldn't take a whole lot to do well in this event, so starting the day with a three-pounder was an awesome feeling. I continued to fish shallow the rest of the day and pick up fish throughout the day. One thing I have noticed this year, as I have fished shallow for several events in a row, is the amount of casts you make in a day is enormous. I sure am glad that I had my Quantum EXO PT, and Smoke PT combos doing the most work today. They are so light, I could have fished for several more hours! Buzzbait, Optimum Baits Frogs, and a swimjig did the damage on the day as I caught seven keeper bass and weighed in 10.20 pounds. It was one of my best days ever at Brushy Creek. I really thought I had them figured out. The weigh-in was about what I thought, except more guys had big limits than I thought. Four anglers had a limit over 10 pounds, something I was not expecting. Anyway, I ended up in 3rd place and was very happy with that finish. As for having the fish figured out, I did in my own certain way, but the other 3 guys with big limits caught their bass fishing deep. 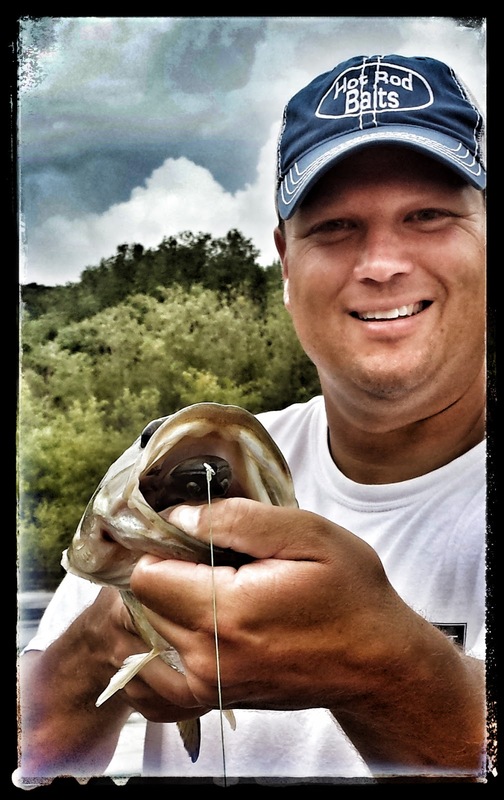 Typical Brushy Creek, on most days you can catch them in a variety of depths. This past weekend I pulled "double duty" on the Mississippi River. 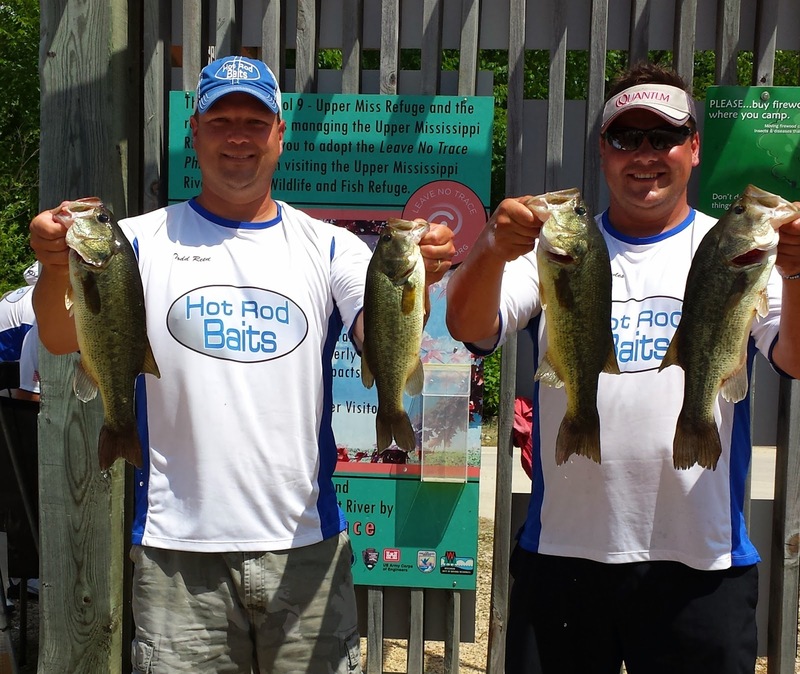 I am the director of the Hot Rod Baits Bass Series and I also participate in the tournaments too. The director part of it takes a little extra time each day, but the bulk of the work was done ahead of the weekend. The fishing part of it...well let's just say that is why I like to get up 4:30am during the summer! The tournament went off without a hitch, and many nice compliments were received, so I give myself an "A" on that part. The fishing part though, I would say a "B" was earned. My partner, Brian Bowles and I found plenty of areas where the fish were biting in our 1.5 days of practice. However, the bigger bass, 2.5# and greater just didn't show up for us. We had a blast, equipment worked great, and we caught our bass a variety of Hot Rod Baits plastics, Biffle Bugs, swim jigs, and Optimum Baits Frogs. We ended up with 11.95# and got 5th place out the of 19 teams. That was enough for some cash in our packets and we left the river feeling pretty happy about it, especially since it was near flood stage at 13.5ft. Another unique thing about this tournament series is that all teams are competing for Team of the Year. We started the weekend in 4th place, and ended up in 3rd place. Not too bad when competing against 19 teams from all over the state. I know the week isn't over, but I won't be fishing the rest of the week, so here is my "Picture of the Week". The Mississippi River is rolling, and still on the rise. This is normal for the mighty Mississippi in May, but not late June and early July. With a tournament scheduled last weekend, I was looking forward to getting up there and trying to figure the bass out as the river continued to rise. Well, the tournament was canceled, but my partner Brian Bowles and I decided to make the trip anyway. We decided on a shorter trip than originally planned which allowed us some family time on the weekend too. A win-win situation! Quantum Rods and Reels made for aneasy day of long casting. Pool 9 and 10 were our targets, and with the high water we knew if we found a couple of bass, we would find a school of them. 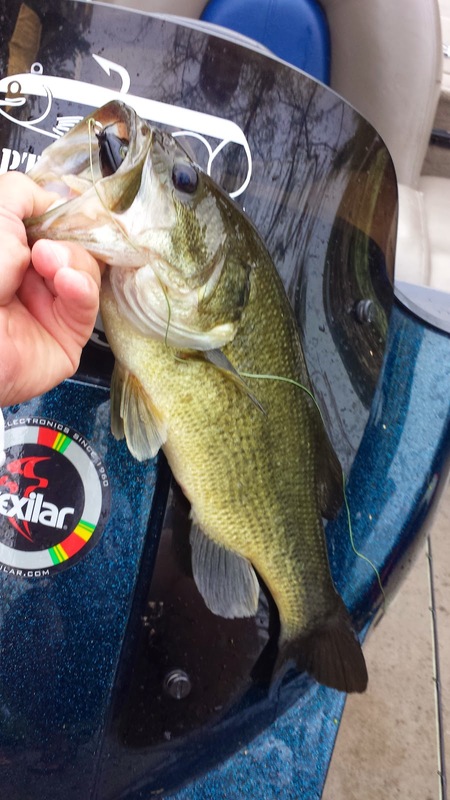 The first couple spots did not produce anything, but then we started to dial in to where the bass were living. With another tournament slated in the near future, I will just let the pictures do the talking about certain locations. 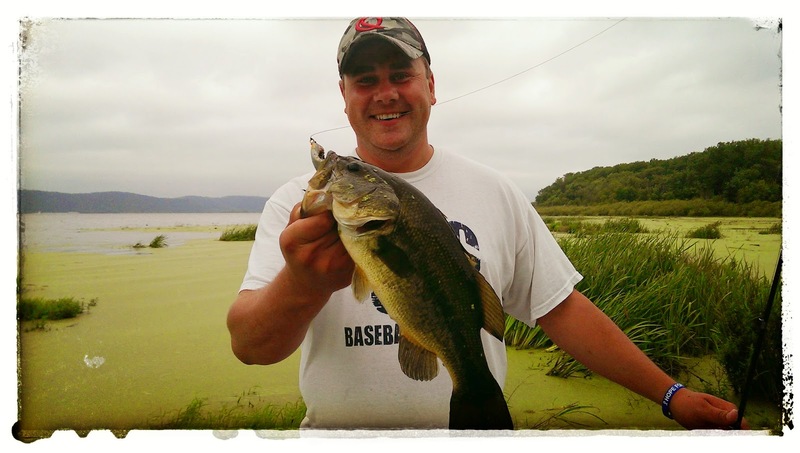 As we worked our way around the pools, we found bass, both largemouth and smallmouth hitting a variety of baits. You really couldn't "get out of the current", and on days like this I am truly grateful for my MInn Kota Fortrex 101. With three 12-volt batteries, there was no concern about running out of power. 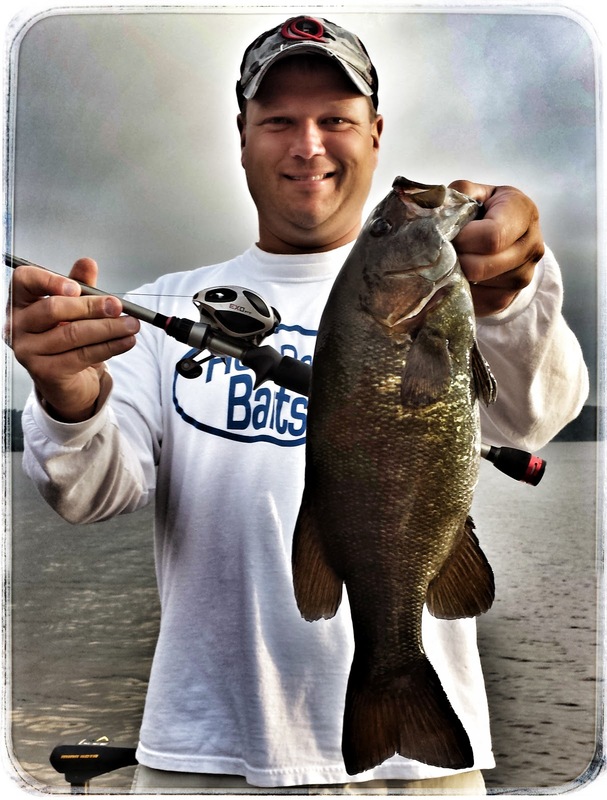 Spinnerbaits, swimjigs, Optimum Baits Frogs, soft plastics, mostly Hot Rod Baits Big Craws, and swimbaits did the damage on the high river. All in all, it was great trip, with a lot of fish caught, even though we only fished for a total of about 12 hours.